When you think of biotin, vitamin B7, what comes to mind? The hair, skin, and nails vitamin, right? Not so right. There is not good evidence that biotin supplements can improve the health of hair, skin, and nails unless extremely deficient. 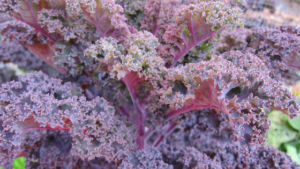 However, it is true that biotin, vitamin B7, is involved in producing keratin. You know… keratin treatments for beautiful hair? What if you could take a vitamin and have beautiful hair? Not exactly. I know thyroid patients are constantly trying to have fuller hair, but taking biotin is not likely the answer and help you are looking for. Taking supplemental biotin can cause false lab reports. Biotin may either increase or decrease free T4, and can create false positives for thyroid antibody levels. Most of the time, labs come back with results like the patient has Graves’ disease, but that is incorrect due to the biotin supplement! 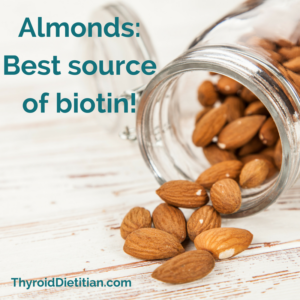 Make sure to let your doctor know if you are taking a high dose biotin supplement when they draw your thyroid labs. One serving of almonds (1/4 cup) gives you half of your needs for the day! 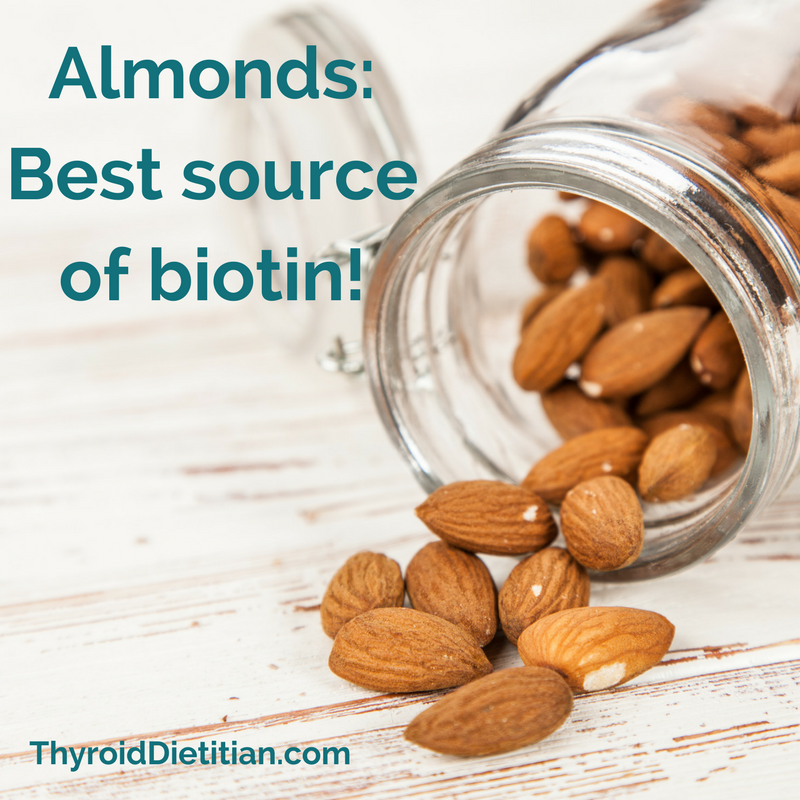 Funny thing is that I had not eaten almonds for about 2 years (due to sensitivities), and I had my biotin levels tested and they came back borderline low. I wonder if it was from lack of almond eating. Hah! Thanks for empathizing the important point that Biotin can result in result in false lab reports – specifically TSH testing. 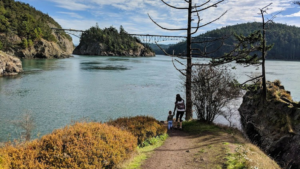 Thyroid supplements do not often contain Biotin for this reason, but many people do take biotin supplements to help reduce hair loss – which is a good thing on its own, but when combined with a thyroid condition, this can lead to false test results. 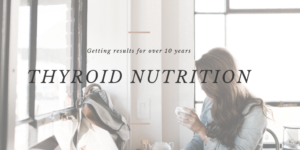 Its important that people know to not take supplements that perhaps contain biotin before doing a thyroid test in order to make sure the results are as accurate as possible.